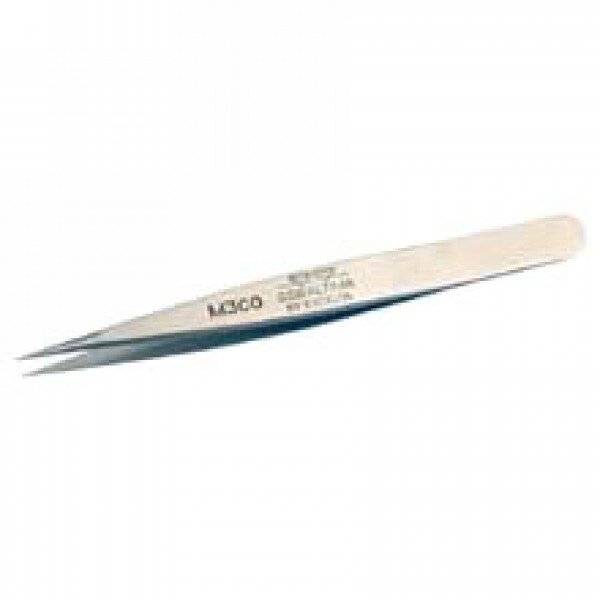 • Tip Size(CTM): 0.003" x 0.0016"
• Over All Length 3.125"
The Excelta M-3-CO 5-Star Cobaltima® Straight Fine Tip Miniature Tweezers have straight fine tips. 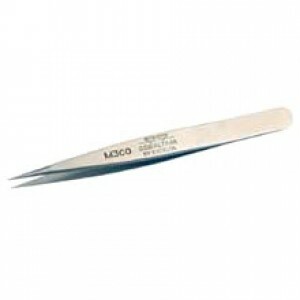 These tweezers are made in Switzerland from a material called cobaltima, which is a special alloy that contains 40% cobalt alloy steel. This material is harder than stainless steel, anti-magnetic, and has excellent resistance to corrosion. It's also resistant up to 500°C (932°F).